Hola! 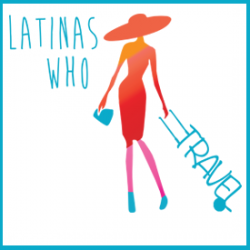 Get to know Our Latinas Who Travel Blog Contributors. Our blog has content available in English & en Español. 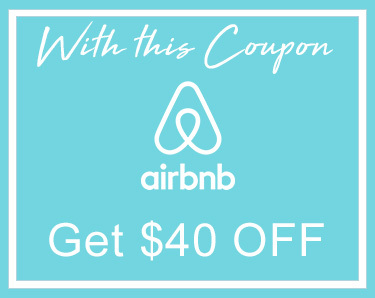 Best Travel Tips, Resources, Exclusive Destinations, Food & Drinks and more. Hola! I’m Laura, a Latina working to build an empire and explore the world. I came to this country from the Dominican Republic when I was 14 years old. I LOVE to travel. Seeing and learning how the rest of the world lives is inspiring to me. I’ve traveled to over 23 countries and crossed some major items off my bucket list. I work full time on Wall Street and I’m the founder of Hola World Travel blog. I enjoy being a progressive woman who breaks barriers. My goal is to inspire others to design their dream life and not settle for anything less. 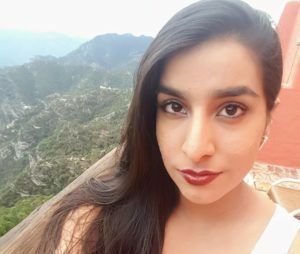 Raeesa is a full time systems developer with a taste for adventure, and as such, is becoming an expert at weekend trips. She travels with her Mexican husband who has instilled a love of Latino culture in her and made her an honorary Mexicana. On their travels, they spend their time soaking up the local culture in between cooking and eating. Check out her blog at Adventurae for adventure tips or find her on Instagram @adventuraeesa for pictures of food worth flying for. 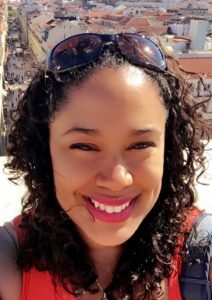 Angie Kassab Barrios is a New York-based English language instructor and part-time traveler who is always dreaming about and planning her next trip when she is not on the go. Between trips, she dives into street photography, always looking for that perfect shot that tells a unique story. 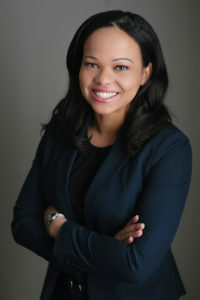 Lillie Morales is a graduate of Kean University where she studied Communications Journalism and Media and Film. 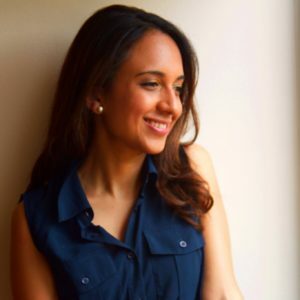 She has worked for companies including Walt Disney, Univision, and MTV Networks. It was her first job in media as a Model, later a Production Assistant at Telemundo that drew her into the world of media. Fashion, writing, and photography are her passions. You can see all of this on Jersey Fashionista, a website she created which covers fashion, beauty, and lifestyle. 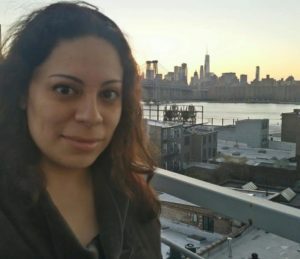 Sandra Escallón es periodista colombiana residente en Nueva York. Su pasión son los temas relacionados con el arte, la cultura, los viajes y estilo de vida, especialmente en la Gran Manzana. Además tiene un gran interés por los temas sociales y el cuidado del medio ambiente. Sandra ha trabajado para outlets como HOLA! USA, NY1 noticias, En La Escena TV, My LifeStyle Magazine, Fusion Magazine y Noticia Corta. También fue la jefe de prensa de World Music Boutique Productions y ha colaborado para festivales como The Colombian Film Festival. Algunos de las coberturas que ha realizado han sido el Festival de Cine Colombiano en Nueva York, El New York Fashion Week, El Afro-Latino Festival, entre otros. También ha entrevistado grandes artistas como Gael García, Calle 13, Bomba Estéreo, Hans Zimmer y JR. Además tiene su propio blog donde escribe sobre viajes y experiencias personales. Ella piensa que creer en sus sueños, escuchar su corazón y el amor son las herramientas para tener su propia luz y compartirla con el mundo.